Here at The Culture-ist we are huge supporters of people who have created incredible blogs and websites that promote the beautiful things in life whether it be through travel, (sustainable, whole) food, artisans, women’s issues, going green, philanthropy and educating readers about cultures around the world. 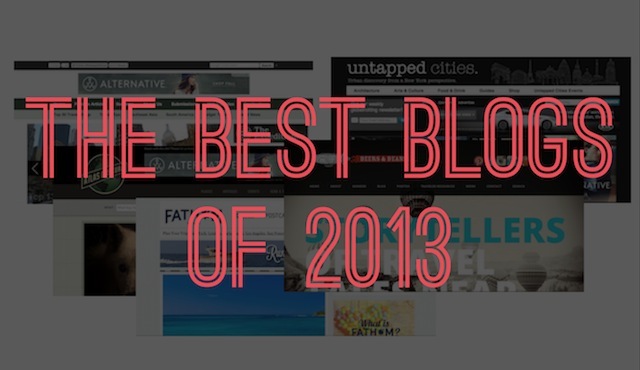 Here are our picks for best blogs and websites of 2013. Stories of Conflict and Love does not fit squarely within the categories of an aid blog, a travel blog, or a journal. Ultimately, Roxanne Krystalli writes about what moves her in the world — and this ranges from photography and musings on narrative and memory to reflections on mass violence, field work notes, and thoughts on feminism. Sloane Davidson, a serial philanthropist, writes about lifestyle, travel, leadership, cause marketing and CSR, women’s issues, microfinance, and nonprofits in the hopes of inspiring people to give back and create positive change. She’s coined the phrase “Cause-Filled Living”. A Casual Notebook is a periodic record of brilliant and poetic musings from Shawn Moksvold. It is a humble blog in its infancy, with a new entry usually on the weekends. Having started as a virtual place to showcase pretentious and forced travel writing, it has developed into a beckoning to those who appreciate the novelty and, more importantly, nuances and ironies of living in a foreign country. Sophie Sarin began writing beautiful stories of life and love in Djenne, Mali while building a hotel there. Last year, Sarin began to explore the complicated situation in Mali after a coup caused fighting to break out in the region. Untapped Cities is a community of more than 300 contributors uncovering the best of urban life from cities around the globe. Their writers and photographers are in the streets, unearthing quirky places, stories and events. The site takes an avid interest in what’s unseen–whether hidden, unnoticed or lost in the past–and how it informs city life now and in the future. In an age where everything seems to have been explored and there is nothing new to be found, Atlas Obscura celebrates a different way of looking at the world. They depend on a far-flung community of explorers to help discover amazing, hidden spots, and to share their unique finds with the world. Nerd’s Eye View is Pam Mandel’s blog about world travel and her love affair with the ukulele. Her stories combine a candid, affectionate voice with deep observation of the world around her. A bookish and unlikely adventurer, Mandel offers new perspectives on destinations like Hawaii, in the center of the map, or those on the edge, like Antarctica and the Yukon. She has a sharp eye with the camera, a sharp wit with the keyboard, and sometimes sings off key. A travel site for the avid traveler featuring travel articles from some of the best travel writers in the world, as well as travel news, commentary, insight and video from a premiere team of bloggers from around the globe. A humorous and witty travel blog for the accidentally adventurous. A clean, sassy and visually provocative site, Fathom celebrates all the reasons why we pack our bags, get on a plane, hitch a ride, and explore beyond our backyards. It’s the travel website reinvented — through inspiring stories, practical advice, and useful tools and products. Fathom is where world-curious travelers indulge their passion for travel — whether they’re getting on a plane tomorrow or staying at their laptop. Ashley Rodriguez shares blow-your-mind recipes through gorgeous photos and endearing stories from her life as a wife and mother. Katie, aka the Wellness Mama, gives a wealth of savvy healthful living advice on a variety of topics from natural ways to balance hormones to delicious grain-free recipes. The folks at EYW love tasting the locally distinct foods and drinks of a destination and believe that these experiences are essential to illuminating a region’s unique culture, geography, history, and lore. This delicious site helps fellow travelers find these truly authentic eats. Joshua Fields Millburn and Ryan Nicodemus write about living a meaningful life with less stuff. They tackle philosophical topics like simple living and pursuing your passion, to writing, publishing, entrepreneurship health, relationships, personal growth, and contribution. On his site, renown photographer Ken Kaminesky shares breathtaking landscape photos from his travels around the world. A visual storyteller, he communicates his passion for travel and for the landscapes and people he meets along the way through his informative and eye candy filled blog. If you’re looking for inspiration for your next trip in the form of travel photos, videos and stories, check out this adventurous site. 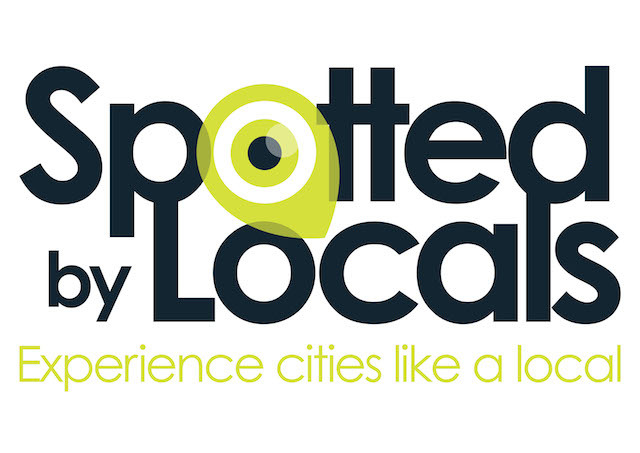 Spotted by Locals is a series of blogs, PDF city guides and mobile (iPhone, Android) apps with up-to-date tips by handpicked local writers in 55 cities in Europe and North America. Can we say teenage prodigy?! Hosted by 15-year-old Booker and his friends, Booker Travels documents journeys to destinations around the world through their eyes. Booker’s videos are informative, entertaining and incredible for the sheer fact that they are edited and produced by such a young traveler. “Teenage travelers are the new explorers of the world we live in, the re-discoverers of our planet and now, the guides to our travels” — Booker. Great list! Glad to see Pam Mandel on here: She’s a peach! I love this list. Some of these were already on my RADAR and I love them. The new ones are great too. Thanks for telling me about them! Great list! thanks for all the new reading material! I’ve heard of about 1/2 only. Great list kids, looks like my Bookmarks are going to be officially overloaded come 2014. Fab list of a few favs and a few news ones I’ll need to check out! Much deserved for Shawn Moskvold! Have had the pleasure of working with him and seeing his talent first-hand. Awesome list! Started following done fellow travellers and bookmarked many! Thank you! Fantastic list! Thank you. Look forward to looking at them all. Great inspiration for my travel/expat/entertainment blog Mint Mocha Musings! Wonderful list. A lot of these are new for me. Looking forward to lots of great reading in 2014! Experience the highs and lows with snowfall and hill station sports with Ajinkya tours #ShimlaManalitourspackage and #himachaltourspackages at unbelievable prices.